Now, I should perhaps begin by making clear that reading these three books in succession wasn’t a planned act. It just so happened that they appeared together at the same time in our household – for which I blame my husband. I am not sure what motivated him to buy them. 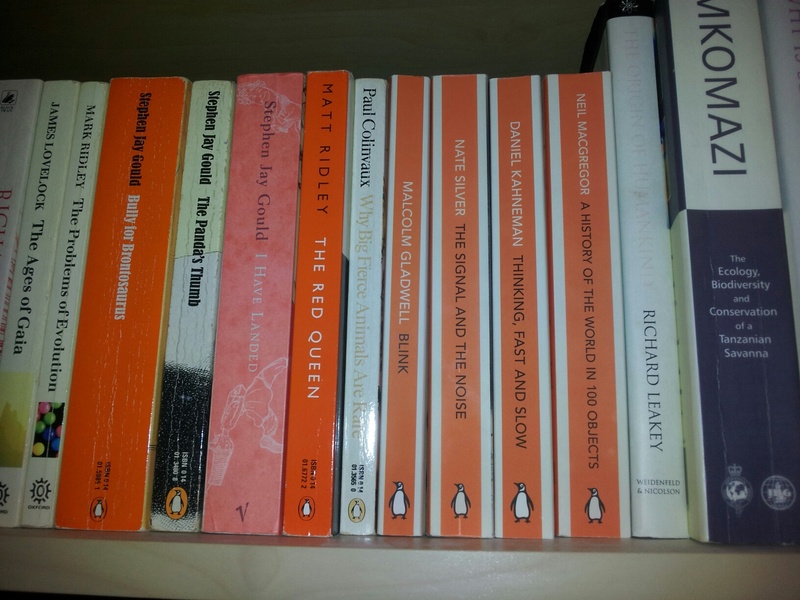 I do know he liked the fact these books would look good altogether on the book shelf. And having read all three, I do think there is some value in taking this approach as they do – sort of – cover the same kind of territory. Reading them allows us to get a better understanding of how we make decisions, and what is the role of information, expertise and bias within this. The chapter about chess was just simply a really fascinating story. It’s all about how Kasparov was beaten by the Deep Blue computer, possibly all because Deep Blue made a move that Kasparov could not understand. It turned out that the move was the result of a bug, which made Deep Blue play a random move, but to Kasparov, this was a sign of devastatingly superior intelligence which threw him off track for rest of the game. The learning one gets from ‘Blink’ is less satisfying than the edification that comes from ‘The Signal and the Noise’. It’s something to do with the fact that the basic premise behind ‘Blink’ – the value of snap judgements and the power of thinking without thinking – doesn’t turn out to be so easily validated. Using different examples, snap judgements are shown to have limitations. The Coke sip test, which led to the disastrous launch of new Coke, is perhaps of the most well known. And what about Kahneman? This was perhaps the most venerable of the books. It is written by a Nobel Laureate after all, not some jumped up cultural commentator. All the reviews I have come across are glowing and reverential, but I found ‘Thinking, Fast and Slow’ to be the least engaging and most effort of all three. Trying to understand why I feel this way, I decided that part of the problem is that points are made using abstract lab experiments as evidence, which is fine, but just doesn’t have the same impact as hearing about the messy and suddenly surprising facets of everday life you get in Silver and Gladwell. Another factor is that there are lots of terms and concepts to pick up, which I have no hope of remembering, and which thus ultimately feel redundant. But perhaps, most significantly, was the thought lurking at the back of my mind that these are ideas which are already a bit familiar if you spent a lot of time reading and thinking about how people behave, as is the case if you are interested in consumers, communication and coaching. Communication is about exploiting the biases Kahneman points out, whilst coaching is about challenging people to think beyond them. I’ll spend more time on Kahneman in my next post. What do I get out of having read all three? There is some overlap. Both Silver and Kahneman refer to Isiah Berlin’s idea of the Fox and the Hedgehog, whilst Kahneman references ‘Blink’ explicitly in his discussion about expert intuition. But more than overlap, there is some synergistic learning. Blink shows the power of snap judgements (for better and for worse) – it raises them to our consciousness. Kahneman shows how and why we are likely to use these snap judgements (System 1 thinking taking over, as per usual). Silver shows what happen when we consciously apply System 2 thinking, both to areas where snap judgements can happen, such as chess, or where it’s not really relevant, such as climate science. It was never to going to be that simple.